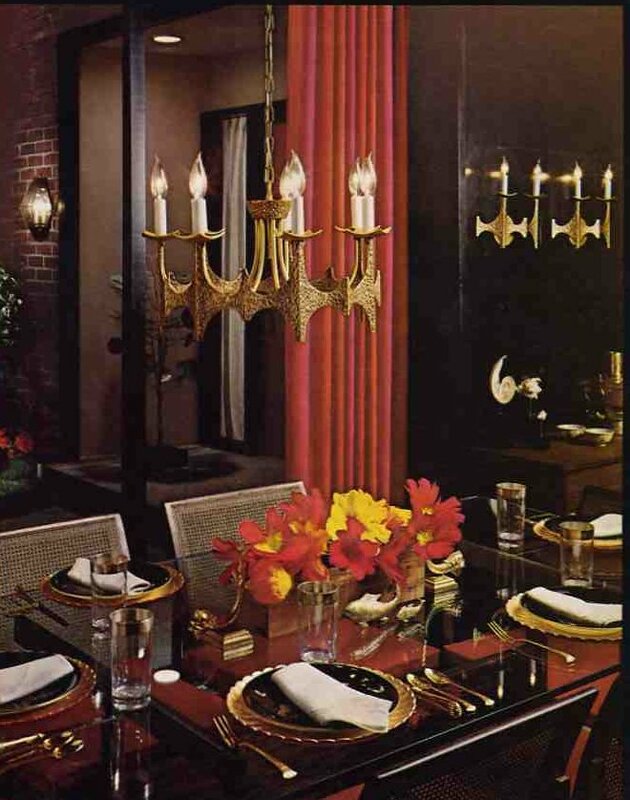 Note via the photo above: The chandelier has nine — yes, 9 — candle bulbs. Six on the perimeter, and three inside. 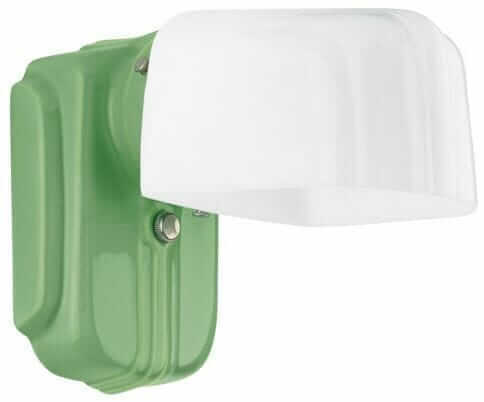 Above: The profile of the wall sconce. Nice. Confirmation that these were sold in 1973. 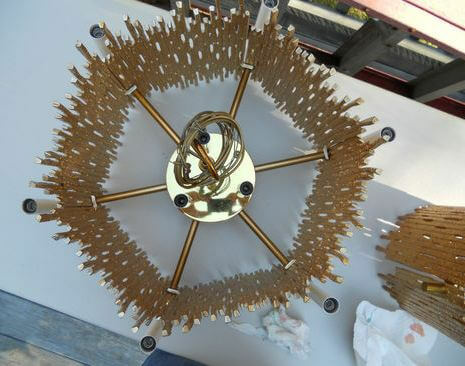 Looks to be model # M 4178. What is “Brutalist” style? Read this story. 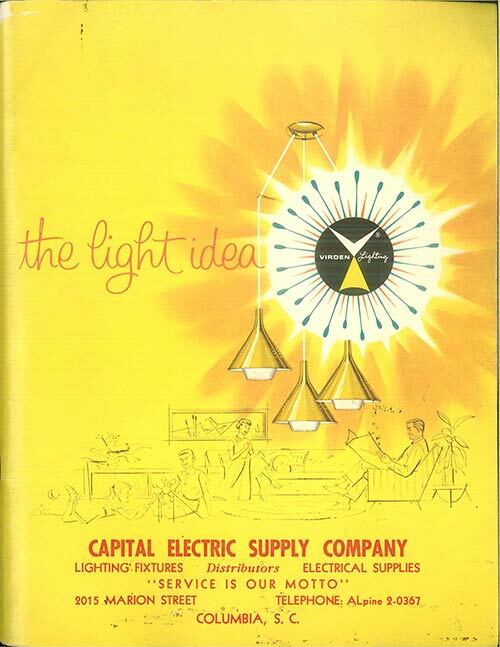 I have a copy of a 1969 Moe lighting catalog — 20 pages featured here. 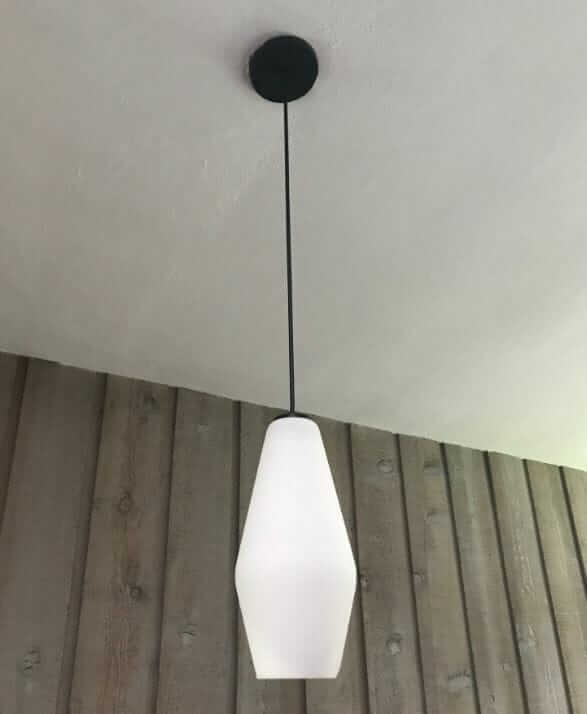 I do not see this lighting family yet. 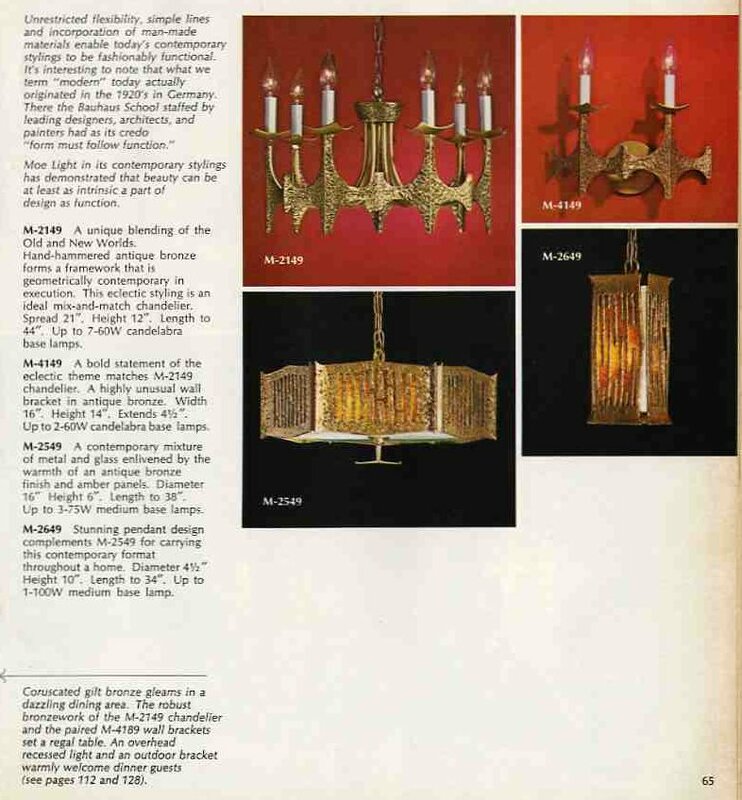 Moreover, I actually own the M-2149 chandelier in this catalog, along with four — yes, 4 — of the M-4149 sconces. 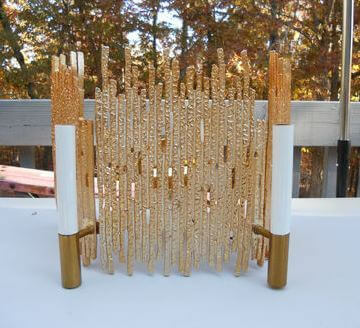 I got a super duper good deal on these pieces — which I purchased in two different auctions. Umm, now I just need a house to put them in. M-2149 — A unique blending of the Old and the New Worlds. 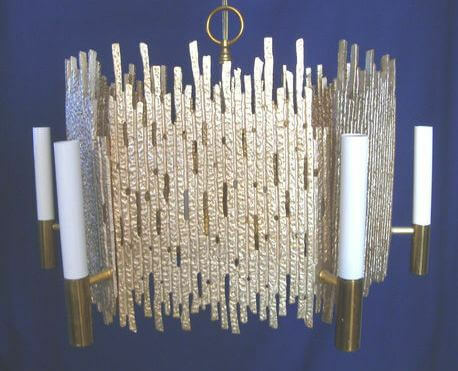 Hand-hammered antique bronze forms a framework that is geometrically contemporary in its execution. 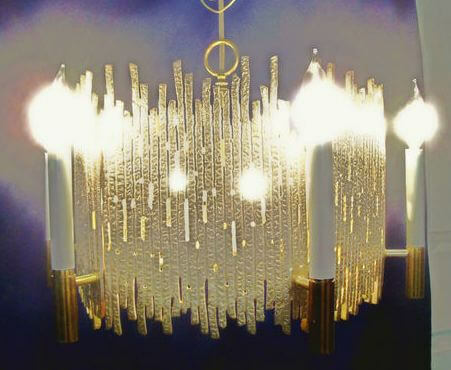 This eclectic styling is an ideal mix-and-match chandelier. Regarding the M-2140/4149 set that I own, I see how they in fact have a Mediterranean antecedent. Make ’em wrought iron and you could put Arthur and his Knights of the Roundtable for dinner. 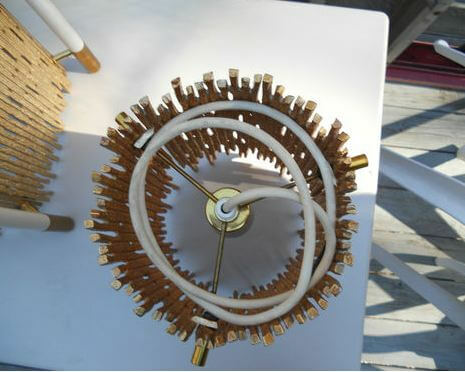 , it nets me a teensy commission, which helps keep the blog boat afloat — Many thanks! Moe lighting is fabulous. That particular swag lamp fit great in a hollywood regency style decor. 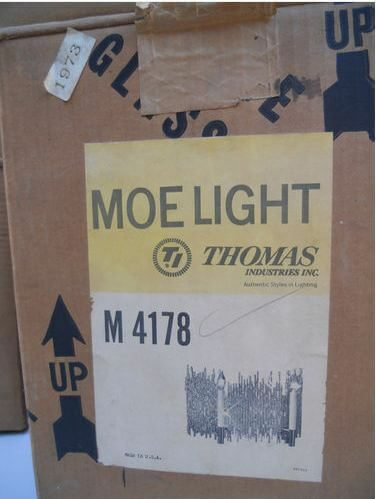 I have a few original Moe catalogs that I use for researching them. A lot of the fixtures are not marked so you have to study up to find them. 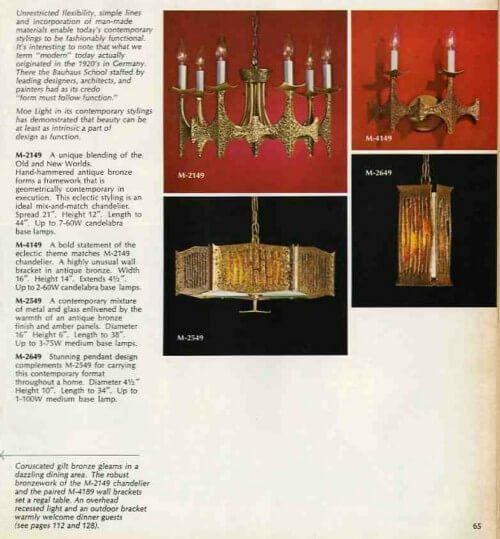 I know this may be a long shot… anyone remember the price of the chandelier? 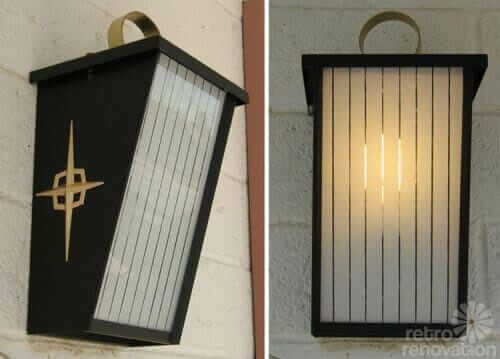 I just came across one similar to it but 6 lights inside, not candlestick style. Love it, debating on whether to keep or sell?? Would appreciate anyone’s thoughts on value. 6 lights, 6 panels… in excellent conditiin. I do not remember. 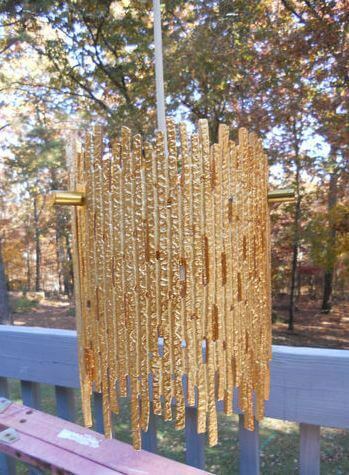 Mid century modern lighting — and creative and well designed post modern lighting, too — continues to go up up up in price. That said, it’s always about finding (or being, depending on which side of the buy-sell you are) the right buyer in the right place at the right time. 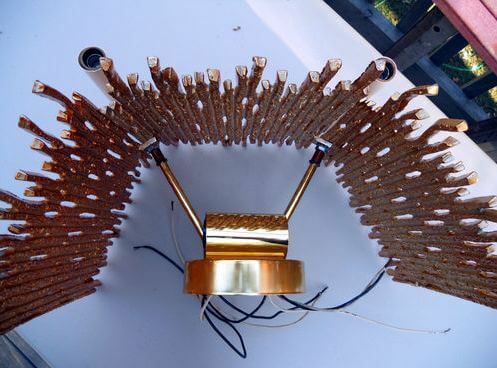 In general – check completed auctions for this maker on ebay to see what the sales prices for completed deals are ….